Sewn With Grace: 2017 Patchwork Quilt Along Kick Off! 2017 Patchwork Quilt Along Kick Off! Today marks the kick off of the patchwork quilt along hosted by the Fatquarter Shop and Moda Fabrics which benefits the Make-A-Wish Foundation. 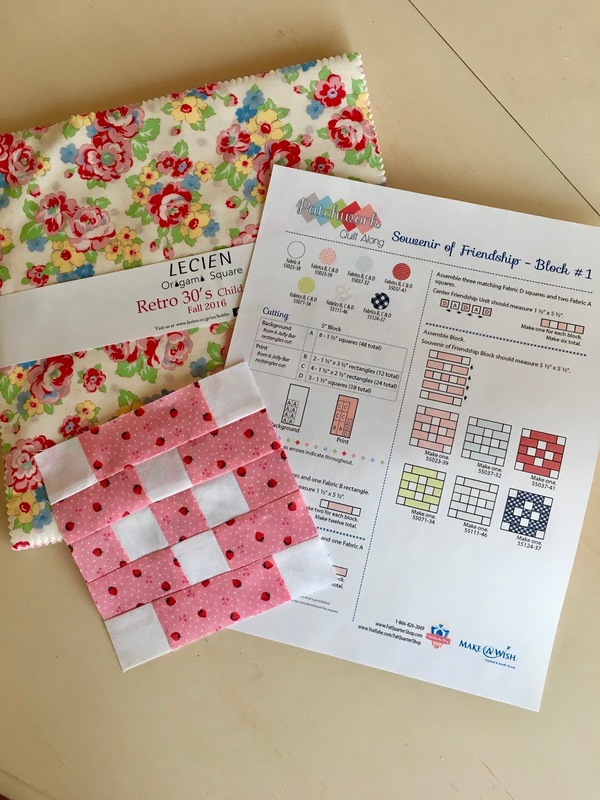 We hope that you will join us as we sew this collection of 12 different classic patchwork blocks to create this lovely patchwork quilt! Donate to our Make-A-Wish campaign for the use of our free patterns! Our Patchwork Quilt Along benefits Make-A-Wish. This fantastic organization grants the wishes of children diagnosed with a life-threatening medical condition. Make-A-Wish believes a wish experience can be a game-changer. Granted wishes help children feel stronger, more energetic, and more willing to face their medical battle, and for many the wish marks a turning point in the fight against their illnesses! This year, Fat Quarter Shop and Moda Fabrics will match up to $20,000 of donations raised! So help us reach that goal! 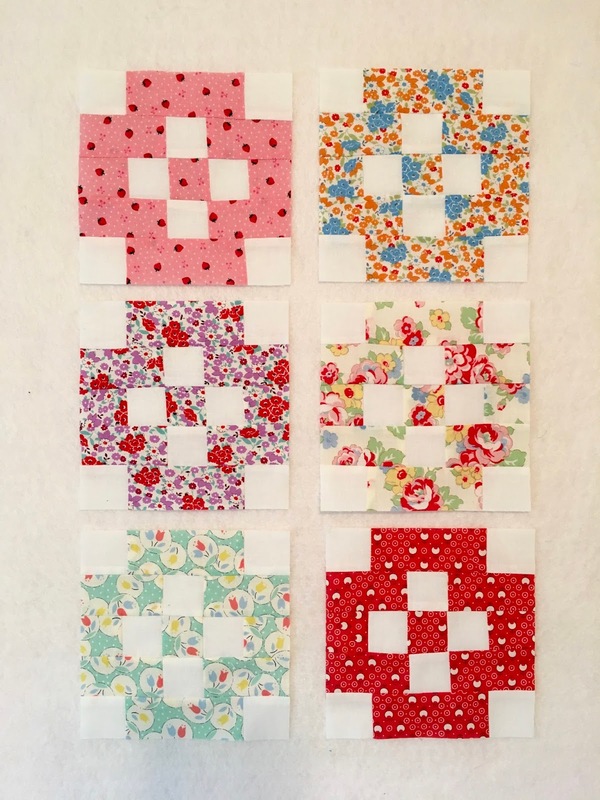 The Patchwork quilt blocks are FREE to download on the 15th of every month starting in January 2017. We only ask a suggested donation of $5 to our Make-A-Wish campaign for each time you download the patterns. 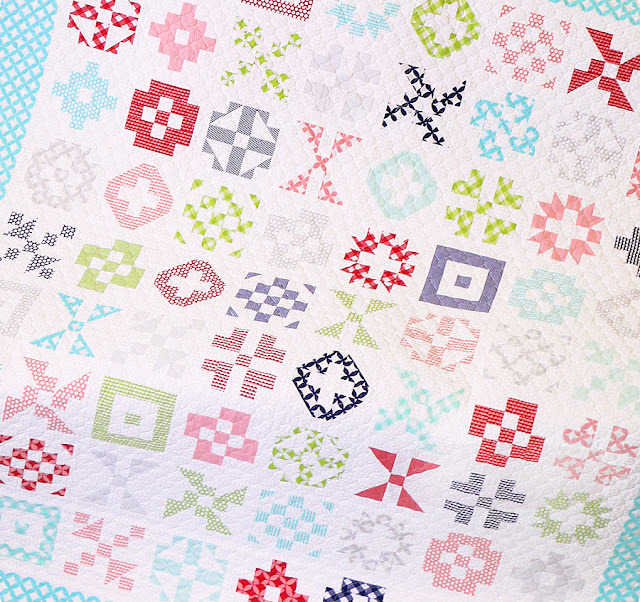 All of the details for the quilt along can be found on the Fatquarter Shop blog, the Jolly Jabber. For a limited time a quilt kit is being offered by Moda Fabrics using Bonnie & Camille Basics Collection and can be purchased here and a backing kit purchased here. Full fabric requirements are provided if you decide to use your own fabric. The Fatquarter Shop has provided a YouTube video for the first block and can be viewed here. Block #1 is called Souvenir of Friendship. Download your free pattern today, and be sure to donate to Make-A-Wish! *Psst! The designers of the quilt's fabrics - Bonnie & Camille - are sewing along, too! Fun!